I love teaching the tall tales. 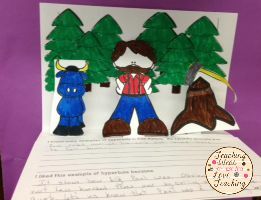 My favorite has to be Paul Bunyan! Kids love learning about him too. 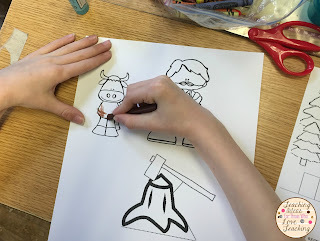 A few years ago, I wanted a way to teach Paul Bunyan and incorporate more language arts into the lesson. 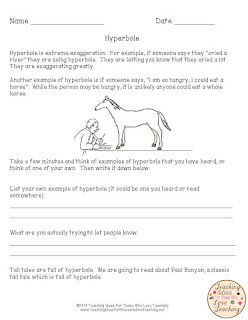 I came up with my free Paul Bunyan Close Reading Lesson on Hyperbole and Pop Up Book. 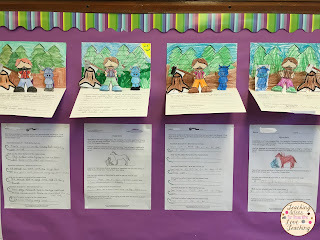 Here are a few pictures of my students creations with this lesson. Enjoy!